While instructing Rey, Luke explains why the Jedi must end: in the height of their power, they produced Darth Vader. How are they culpable? Luke correctly accuses the Jedi Order of hubris and hypocrisy. Instead of peacemakers, they became generals, leading an army of cloned slaves. After teaching Anakin to destroy and kill, (not just battle droids, but humans, Geonosians, Zygerrrian slavers, etc. ), they can’t be surprised he became callous enough to continue killing as Darth Vader. The more fundamental failing was that the Jedi were horribly unbalanced. As explained in Yoda Was Wrong, they took children from their parents, including Anakin, and told them not to worry or care about (or even have) loved ones. This unhealthy practice inevitably backfired, and an emotionally immature Anakin swung to the Dark Side. We learn a key principle of the Force from Supreme Leader Snoke when he gives the reason for Rey’s impressive abilities. Since Ren grows powerful in the Dark Side, the Light Side increases to match it. 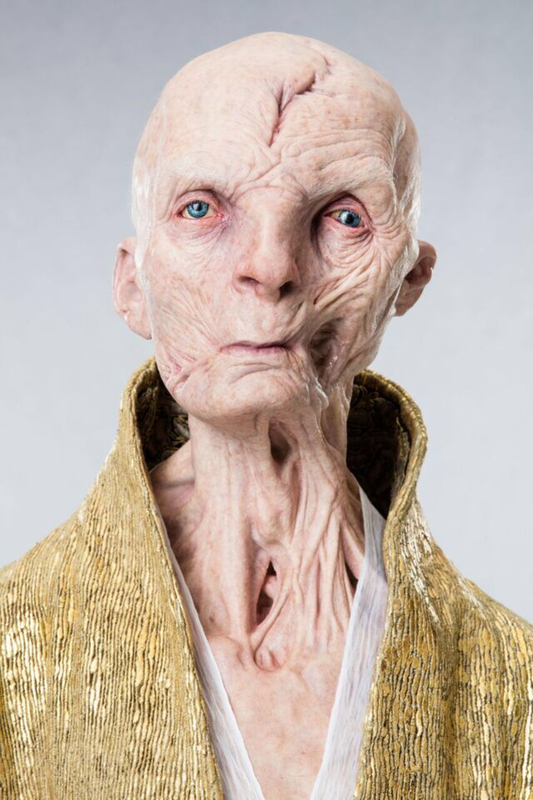 Snoke, Supreme Leader, Contemplative Philosopher (apparently). © Lucasfilm, Ltd. Instead, we must see Light as Selflessness and Serenity, and Dark as Self-care and Passion. (If you don’t agree, click the link above.) Consequently, Light and Dark are two Good forces that must be held in balance. For example, too much selflessness without self-care is not sustainable as we see from the Jedi, and too much self-care quickly spirals into selfishness, self-centeredness, and all sorts of evil as found in the Sith. The Star Wars universe balances Light and Dark. While this inevitable equilibrium isn’t a metaphysical truth in the real universe, it is a sociological one. Following Return of the Jedi, the Force was balanced for a time. Luke held it in balance in himself. For instance and unlike the Jedi Order, he remained committed to family and friends while also devoted to the common good of the galaxy. Similarly, we need to balance competing good principles in our beliefs, actions, and especially in our politics. A significant example of the latter is maintaining the tension between personal liberty and ensuring beneficial outcomes through government oversight. We must first seek balance in our own political philosophy, considering all sides of an issue. Then, as we find those who lean in the other direction, we must find common ground and work towards compromise. If we do not seek balance, but instead hold on to simple polemical arguments that only support our slant, we become more unbalanced. In response, “the other side” grows, rallying their base, and becomes even more polarized in the other direction. Remember, Kylo Ren fully gives in to the Dark Side when he perceived Luke (and the Light Side) were against him. Polarization does not end well. © Lucasfilm, Ltd. Either we seek to balance principles in our own individual political philosophy, or we form factions that frequently overcompensate the stance of others. The former allows for productive conversation, while the latter produces political stalemate at best, destructive chaos at worst. She teaches him the same lesson earlier. After leading a pack of “space horses” to trample through a city of rich war profiteers, the police find them. Despite their imminent capture, Finn says damaging the city is worth it. Rose says it is worth it after she lets their horse go free. Again, her focus is love. While it is commendable that Finn no longer runs from the First Order, he still remains fixated on what he hates. © Lucasfilm, Ltd.
We also see the dichotomy in the actions of Kylo Ren compared to Darth Vader in Return of the Jedi. The former, and huge spoiler here, kills Snoke. (The audience cheered! He’s redeemed! Only took two movies.) But, then he invites Rey to join him in ruling the First Order and the galaxy. He did not change. He’s just another Dark Side apprentice killing his master. Though Darth Vader has the same motivation in Empire Strikes Back when he asks Luke to join him, his focus in Return of the Jedi is saving his son. Consequently, Vader’s act brought redemption and balance, or rather revealed he had already been redeemed by Luke’s love. Kylo Ren, on the other hand, remains unbalanced and evil. Applying this principle again to our political lives, do you focus on fighting the other side or saving those in peril? In my politics, while I hope to help the poor, the refugee, the unborn, and minority, I find it extremely easy to simply hate the rich, the xenophobe, the abortion provider, and those blind to privilege. Like Rose, I must focus on love. My focus will either transform me into a redeemed Anakin Skywalker or a fallen Kylo Ren. Star Wars teaches us we must not only love our “side” and the disadvantaged, but the saga exhorts us to love our enemy as well. We should never lose hope they can be saved. Though we learn in The Force Awakens that redemption cannot be guaranteed, we see from Luke’s momentary temptation to kill Ben Solo that trying to destroy the other side rarely works either. Instead, it completely polarizes Ben and ultimately costs countless lives. You might not agree with my interpretation of the Force in Star Wars, but I hope you see that many good things in life (and politics) stand in contrast, which we need to hold in balance. If we focus on one end of the spectrum, others will see our shortcoming and rise up to vigorously argue and work towards the counterpoint. This frequently leads to “fighting what you hate” and further polarization. Let us learn from the failing of the Jedi Order and examine our thoughts and stances. How are you imbalanced? What viewpoints do you ignore or downplay? What stances do you hold because you feel the need to compensate the errors of others? If you find yourself more focused on who you oppose than actually doing good, you make the mistake of Finn and Kylo Ren. 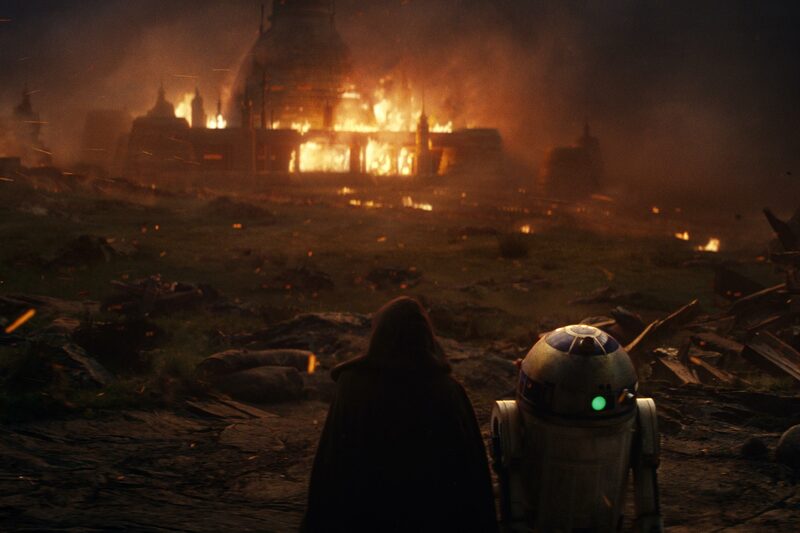 Thankfully, like Luke in The Last Jedi and Anakin in Return of the Jedi, we can learn from our mistakes, find balance and love, and make the world a better place. I find support for these views not only in bhre Bible, but in the work of Popper–“The open society (and unfortunately) its enemies, who can be loved after all, as part of a dialectic, not a point he empphasises but not in opposition to his views either.